During the next 18 months Microsoft will launch new versions of our most significant products including Windows (Client, Server and Phone Windows Azure), Office and Xbox, along with a whole new range centered on Microsoft Surface. These new products will define the direction of the company in coming years and we offer a great opportunity to refresh and evolve our brands. Given that most products that names the announcement will be launched between October and the first quarter of 2013, it stands to reason that the Xbox name not refer precisely to the next dashboard update. In 18 months, Microsoft would give society time to submit its new console and have it ready for a launch before Christmas 2013. Of all the conjectures have appeared to date, the only one that has come close to reality has been that of a "command tablet" Wii-style U. Although not exactly like the system from Nintendo, Microsoft unveiled during E3 2012 Xbox SmartGlass . Thanks to him, the player can interact differently with games and other console applications as the future Internet Explorer 10, which come with the fall update. When will the official presentation? Various sources have said that at first he thought the U.S. company to announce the next Xbox in the past E3 in Los Angeles , but ultimately did not. ¿Prepare a surprise announcement Microsoft style Surface for their next console? Will we have to wait for E3 2013 to learn more? What seems a little safer today than yesterday is that in less than a year and a half, stores may have a new Next Gen platform. There is no doubt that the lack of traditional controls diminishes the gaming experience when we try to spend time with our Smartphone recreation, swipe it or give tired tapping on the screen after a time (plus it is impossible to play certain titles ) and install an app to connect a control to your leaves with your hands full, as control or hold or grab the phone. But Ryan French, a student at Washington University has devised a solution by inventing a simple clasp that will allow us to engage the Sony DualShock 3 controller to a Smartphone , and best of all is that it offers the possibility of making one that fits our phone in the event that the models do not offer. His invention goes by the name of GameKlip and is an adapter made ​​of ABS plastic that sets control the phone leaving your hands free to play as Jebus commands. Of course, this accessory does nothing by itself; who want to set their Dualshock 3 as a control for games on a phone with Android system will download the app Sixaxis Controller Dancing Pixel Studios, and your phone needs access to root or to make a physical connection. French is already working on a version for tablets and one for the Xbox 360 controller and if you're interested can place your order at the official website Gameklip. 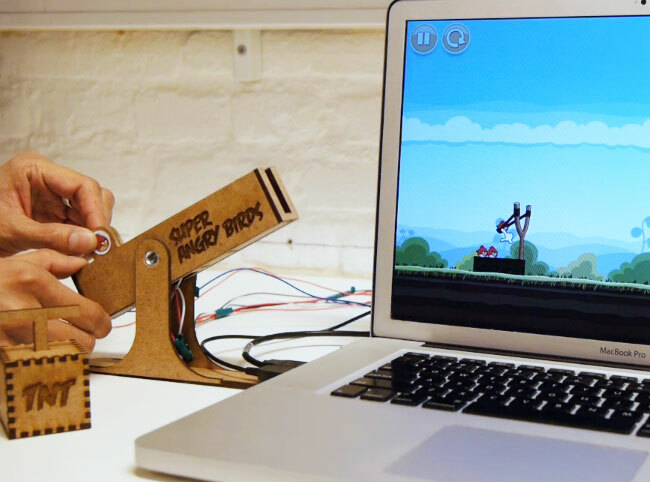 USB controller to play Angry Birds - Video, Shut up and take my money!! 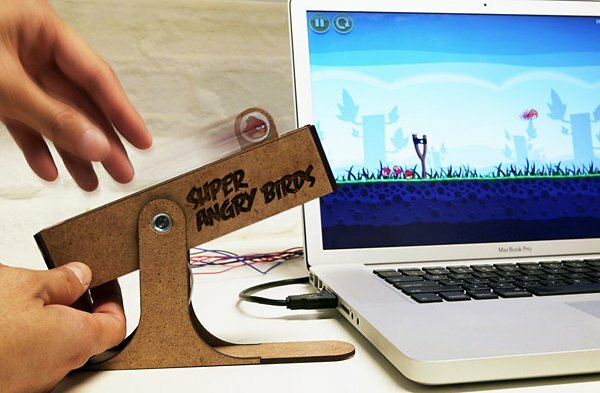 If you are a fan of Angry Birds this news will surprise you, since it has created a new way to play throwing the birds. If you complained before the mouse or you found it difficult to play Angry Birds, now have no excuse as a simulator shaped elastic sling will be able to better enjoy the game. The hardware was programmed in Max / MSP to Arduino, a microcontroller and included 'Music and Motors' to work the way it appears in the video. Become the most characteristic elements of this saga, the crystals of power are the only hope for saving the world from total destruction Eoerza, though that has happened. Because as you might have guessed in the cinematics of its new format, the start of the title he describes the destruction of the kingdom under the flames of a huge power. As a last resort for salvation, the kingdom's most skilled heroes were transported to another time, hoping to find a way to avoid his terrible fate. Hopefully this game review gets boost the reputation of this title, which suffered badly in the months after its PC release due to problems of development that gave the game an unfinished look. Fortunately, it seems that Square-Enix has acknowledged his mistakes with this renovation is complete and only see the results of their efforts during the upcoming video game gamescom fairs and TGS. For now, let harboring hopes for the future and hope that Square-Enix has managed to hit the mark with new development and get FF XIV: A Reborn Realm is a highly successful MMORPG PC and PS3.